FedEx Parcel Shipping Division has experienced a healthy improvement in package volume as the International Economic climate recovers and freight volumes increase. Nov. 22, 2010 - PRLog -- International parcel delivery carrier Federal Express Corporation (FedEx Corp.) is preparing for the fast approaching day of December 14, which the carrier has forecasted to be the highest volume day in company history. The transportation company (which offers multiple modes of transportation including freight services, truckload trucking, and intermodal international delivery, and small parcel pickup and delivery services). 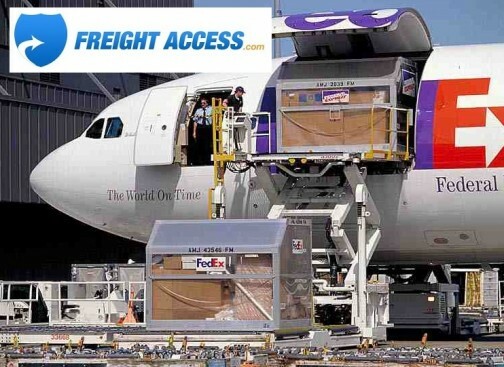 FedEx Corporation is forecasting a daily volume of 16 million parcel shipments on December 13th. If successful, the parcel giant would experience an 11% increase from the highest volume day of 2009, when the carrier had handled 14. 2 million parcel shipments. The parcel carriers routinely deliver eight million parcel shipments through its global network daily, on average for the remainder of calendar year.. During this holiday season (between Thanksgiving and christmas), FedEx is prepared to handle almost 225 million shipments through its vast global network. In addition to December 13th being the largest shipping day of the year for the parcel carrier, this week also serves as the single busiest week of the year. Analysts believe that FedEx will exceed 63 million parcel shipments this particular week alone, in comparison with fifty-seven. 5 million shipments in 2009. A lot of the parcel shipments are composed of FedEx SmartPost Shipments which can be sent through big, online stores as well as fulfillment houses of retail stores. These huge corporate shippers generally deliver large amounts of lighter weight shipments to household clients rather than more dense packages with other corporate consumers. Other varieties of revenue with regard to the Parcel Company giant include home shipments scheduled by means of FedEx's great retail network of FedEx Kinkos stores as well as drop locations. The products delivered differ tremendously from merchant to merchant, however frequently contain books, apparel, electronic devices, as well as luxury products usually bought on the web by customers drawn to holiday offers as well as marketing promotions of huge world wide web merchants. Professionals are usually predicting a reduction in holiday income from the ten year growth common. Throughout '09, holiday product sales had elevated below .5% yet are usually ready regarding a raise in 2010. The Nationwide Retail Federation (NRF) will be looking forward to holiday product sales in order to rebound modestly by 2.3% to merely below $450 billion. While this year has supplied optimistic signs of the fiscal recovery more than '09 statistics, the bulk of product sales increases remains from internet product sales vs . standard brick and morter locations . Web-based commerce for 2010 are required to jump greater than 15% over holiday revenue in the course of '09 as suggested inside a current Deloitte report. Although the international economic system still from internet product sales vs . standard brick and morter locations. Web-based commerce for 2010 are required to jump greater than 15% over holiday revenue in the course of '09 as suggested inside a current Deloitte report. Although the international economic system continues to spudder a lengthy, it appears that United states consumers have begun to regain self-confidence throughout the economy. Internet retailer's attractive offers along with promotional discounts for instance totally free in home delivery amongst others has persuaded several buyers to look on the web. Same store product sales always execute close to historic figures as internet sales continue to make an impression on analysts. FedEx is positioned nicely as the financial system has rebounded. FedEx has taken substantial actions to grow its international system, enhance technology, and concentrate on gaining worldwide market share against competition Ups (United parcel service) and DHL. Welcome to Freight Access.com, the World's First Transportation Marketplace where Shippers, Brokers, Carriers, and Owner Operators can find loads, find freight and make calculated business decisions. Visit www.freightaccess.com to join for free. Judy Gibbons Awarded Listing of Rare Schwartz Designed Contemporary Home.